This fantastic piece of furniture is imported direct from Italy. 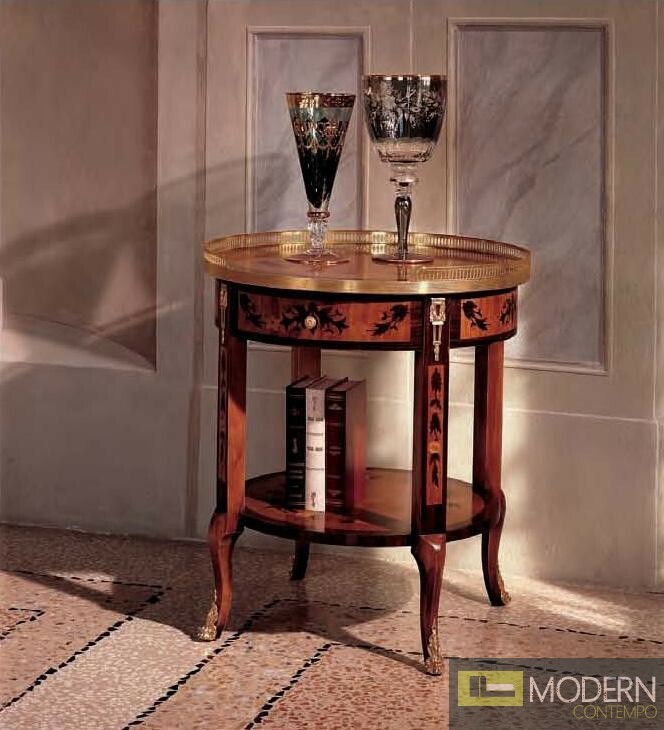 This table can be used as an end table in your living area, or a nightstand in your bedroom. 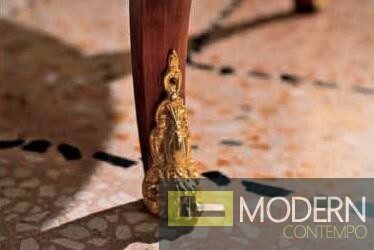 It is made of beautiful, all-natural hardwood and given a clear veneer finish, preserving it's natural beauty and ensuring durability over time. 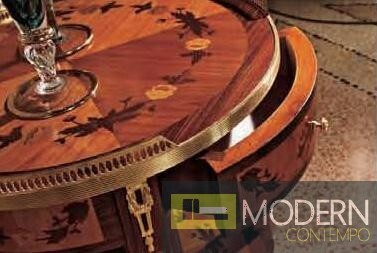 The tabletop has intricate wood detailing, and the table has one drawer for easy storage of your belongings. W 23.6" x D23.6" x H28.3"